The Iroquois Nationals are scheduled to compete in the Federation of International Lacrosse's 2018 Men's World Championship this week in Israel but have been having difficulty leaving Canada on their Haudenosaunee passports. 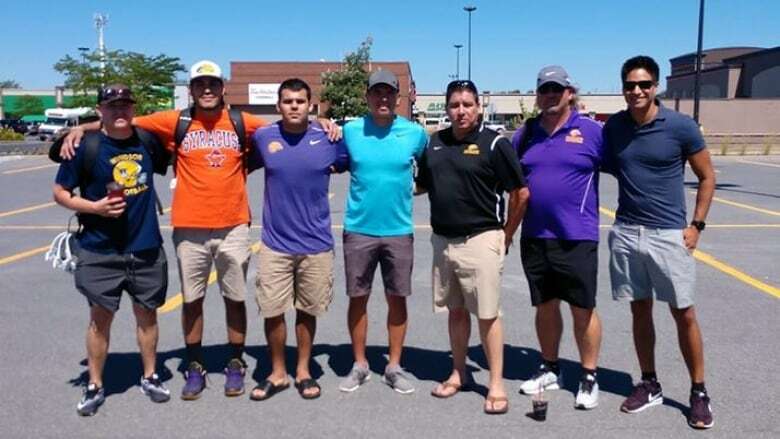 The Iroquois Nationals lacrosse team, on their way to compete in the World Lacrosse Championships in Israel, were not allowed to board their flight Monday night in Toronto. The team, which represents the Haudenosaunee Confederacy, experienced passport procedural issues while trying to leave Canada for Israel on their Haudenosaunee passports. Ansley Jemison, executive director of the Iroquois Nationals, said travelling on their own passports is at the core of the Iroquois Nationals program. "We're an Indigenous People. We have treaties with Canada, we have treaties with the United States and it's our right to be able to travel as Indigenous People. We want to be able to have that movement," he said. "We're just waiting on a letter as some sort of confirmation that the green light is there." 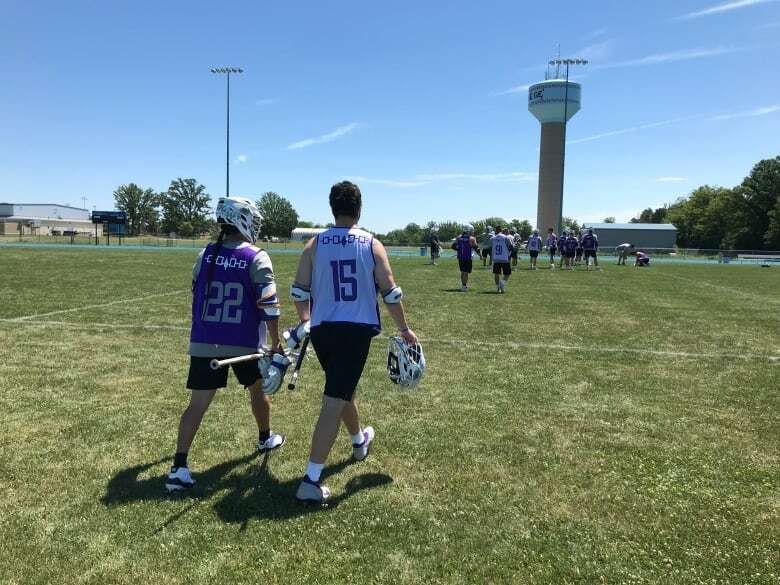 The team comprises 23 players from the Haudenosaunee, which is a confederacy of six First Nations: the Mohawk, Oneida, Onondaga, Cayuga, Seneca and Tuscarora. The players are from communities in Ontario, Quebec, and New York State. 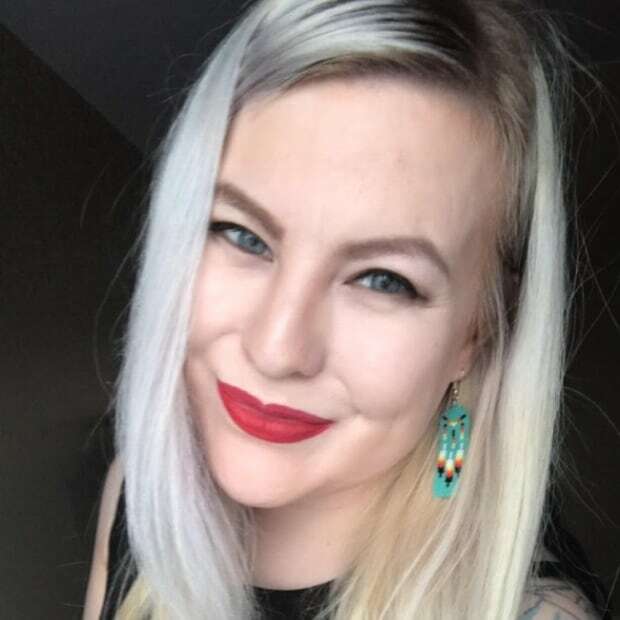 They spent the night at a hotel in Brantford, Ont., and spent Tuesday at Six Nations of the Grand River with a full practice and community engagement while they wait for the issue to be resolved. "Life gives you lemons, you make lemonade," said Jemison. "We're trying to be as productive as possible. The players' spirits are high." Haudenosaunee Confederacy passports have been around since 1923. Members in Canada use them for international travel, though they are not officially recognized by Canada as valid travel identification. He said it was a "highly unusual" condition. "Nobody needs permission of Canada to leave the country. The Haudenosaunee do not need the permission of Canada to go to Israel," said Deer. "They were not allowed to board the plane in Toronto last night because Canada didn't write a letter." The Federation of International Lacrosse's (FIL) 2018 Men's World Lacrosse Championships is scheduled to take place July 12-21 in Netanya, Israel. Forty-six national teams will compete in the 10-day tournament. The Iroquois Nationals, who are the reigning bronze medallists, are scheduled to play on the first day of competition. They are also the only First Nations team authorized to play the sport internationally. The FIL accepted the Haudenosaunee Confederacy as a full member nation in 1987, and they participated in their first competition in 1990. "They are obviously an incredibly competitive team, so it would be very important for the integrity of the competition that they be present," said Jim Scherr, CEO of the Federation of International Lacrosse (FIL). "They're an important historic team for for FIL, being one of our teams that were originally involved when the FIL begun. We all know the importance of the Iroquois to the development of the sport internationally and the origins of the game." Scherr said FIL and the Israel organizing committee have been working with the team's management to resolve the issue. A new flight is scheduled for Wednesday, but according to Deer and Scherr, it's not confirmed if they will have their visas in time to board the flight. "The Government of Canada has been in contact with the Government of Israel to resolve this issue, and to ensure the Iroquois Nationals lacrosse team are able to attend their tournament in Israel," said Philip Hannan, a spokesperson for Global Affairs Canada on Wednesday morning. "We are grateful to the Government of Israel for their assistance in this matter." 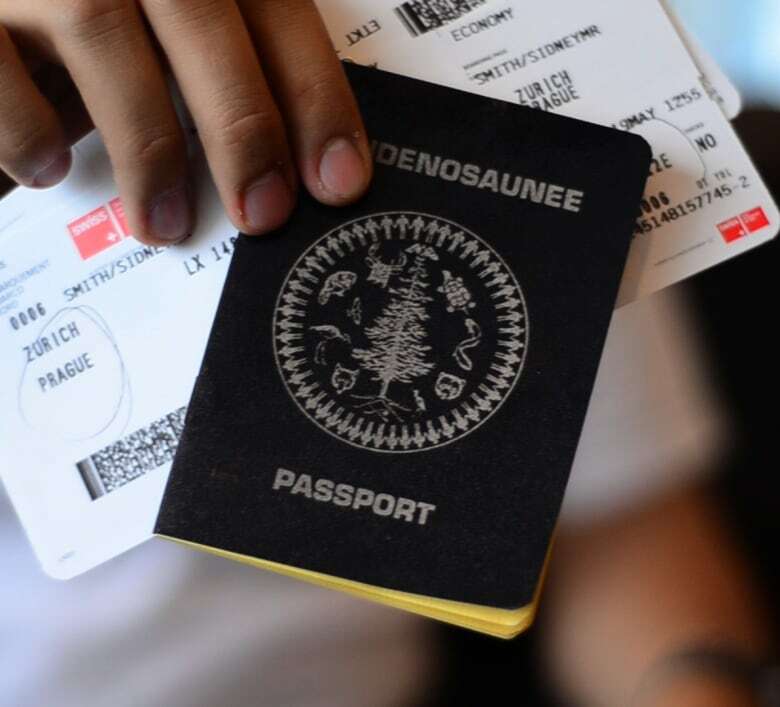 This isn't the first time the team has experienced difficulties travelling on their Haudenosaunee passports. In 2010, the United Kingdom would not allow the team to leave from New York to the U.K. over concerns that they would not be allowed back into the United States when returning home. Hillary Clinton, at the time secretary of state, wrote a letter in support but in the end the team was still denied visas for entry. Iroquois lacrosse team denied visas by U.K.
"Certainly I don't want to relive that," said Jemison. "We're just excited about this team and we want the world to be able to see it." Considering the small population the team draws from, he said it's remarkable they have players able to compete at the world championship level.